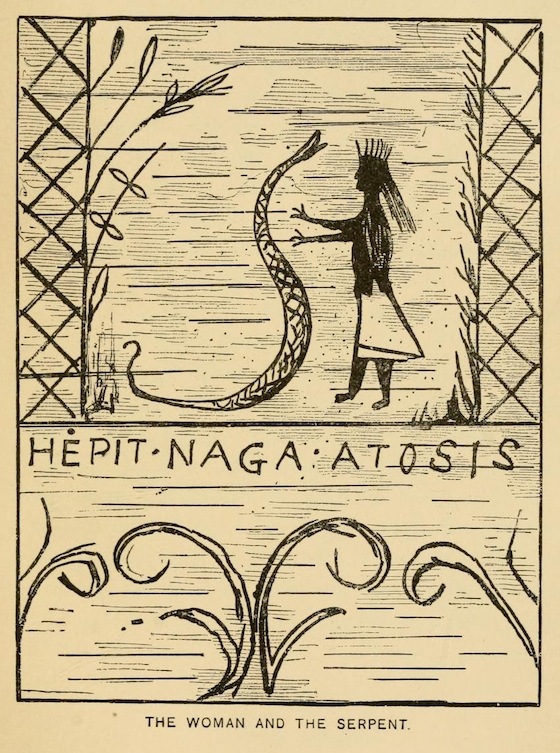 The Algonquin legends of New England : or, Myths and folk lore of the Micmac, Passamaquoddy, and Penobscot tribes, by Charels G. Leland; 1884; Sampson Low, Marston, Searle & Rivington in London. 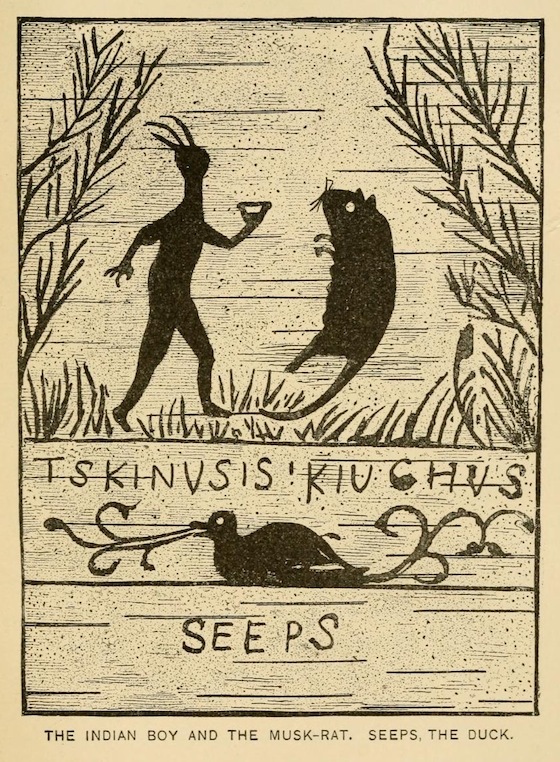 A brilliant collection of stories from the folklore tradition of the Algonquin (Algonquian, Algonkin) peoples of North America, in particular, as the subtitle tells us, of the “Micmac, Passamaquoddy, and Penobscot tribes”. 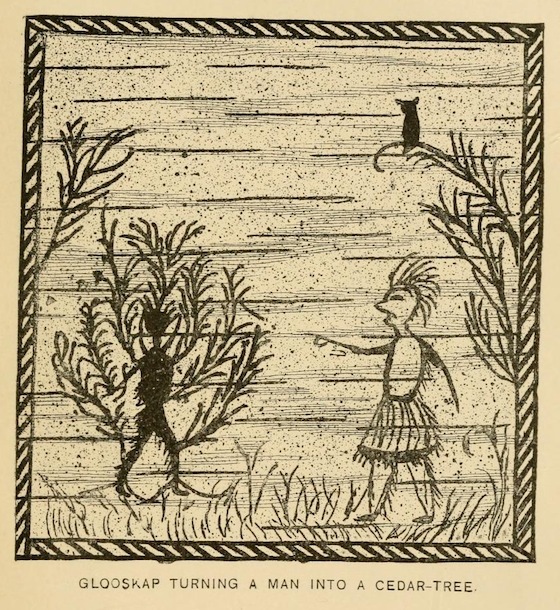 The collection presented in the book is a result of the collecting efforts of folklorist Charles G. Leland and from Rev. 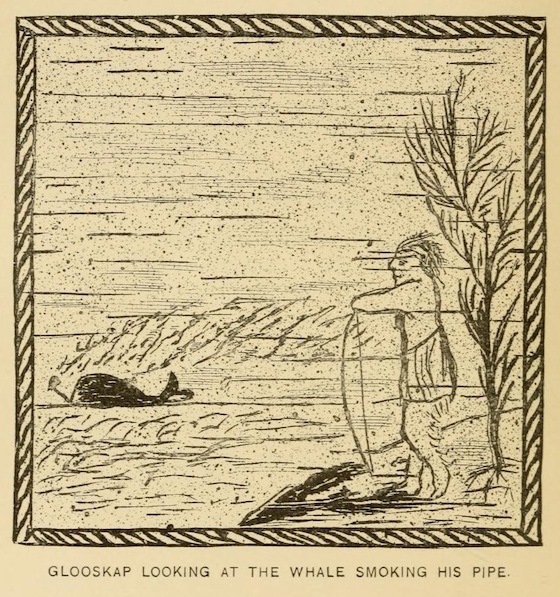 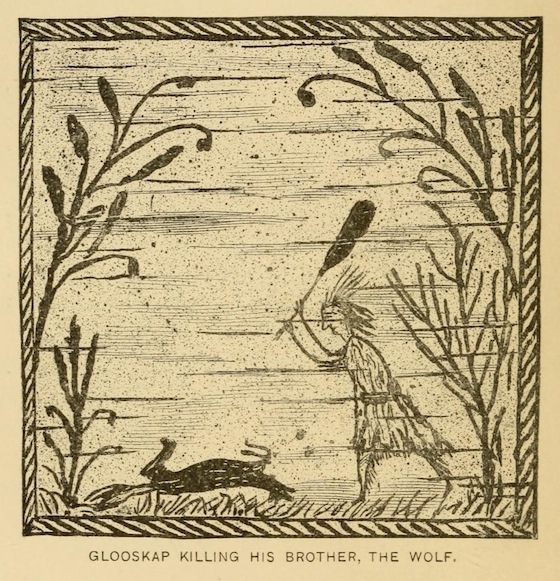 Silas T. Rand, a Canadian Baptist clergyman who was the first to record the legend of Glooskap. 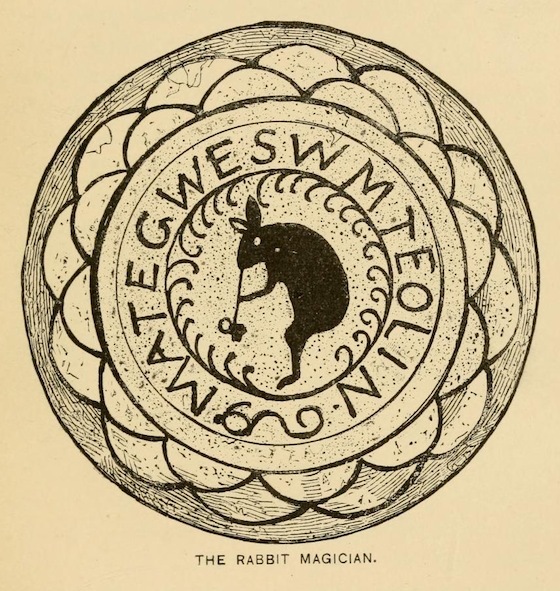 It is this legend, with its many chapters, which takes up the majority of the book. 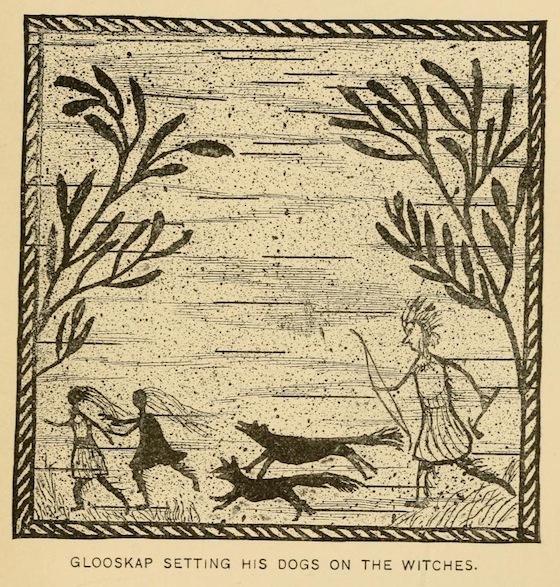 The central character is a giant of a divinity named Glooskap, who “grows to a more appalling greatness than Thor or Odin in his battles”, and whose name literally means Liar, because it is said that when he left earth he promised to return but has never done so. 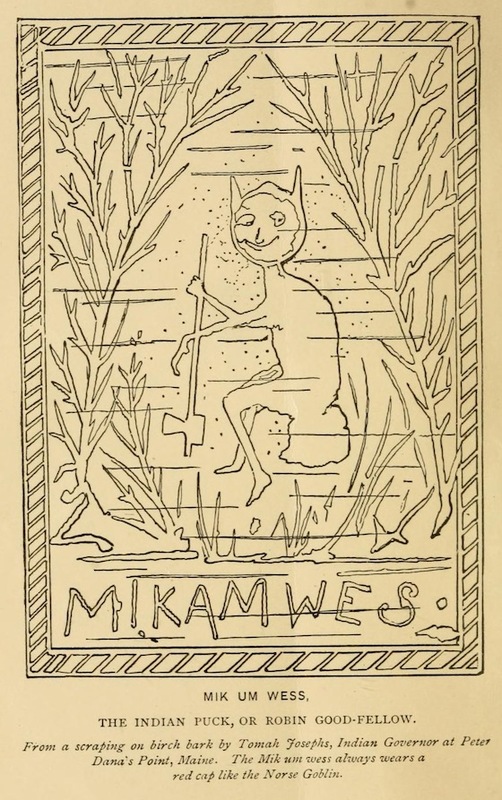 In addition to Glooskap, a large proportion of the book is dedicated to “The Merry Tales of Lox, the Mischief-Maker”, a character, as Leland explains in his introduction, who ranges “from Punch to Satan, passing through the stages of an Indian Mephistopheles and the Norse Loki, who appears to have been his true progenitor”. 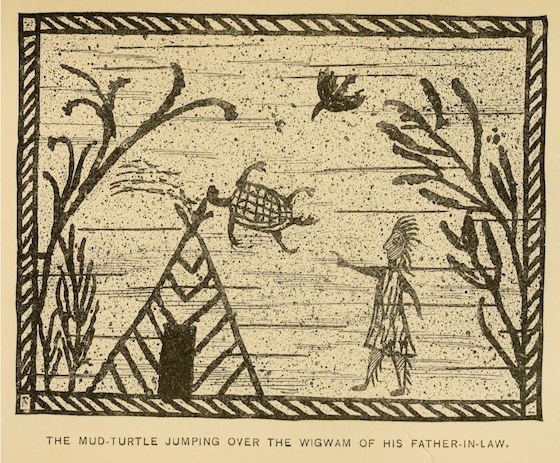 Also, Throughout the book are scattered a set of wonderful illustrations (some featured below), presumably copied from tribe members themselves, though no information is given on this.